New Ideas in…: Panov Botvinnik (9 part series). B13, B14: Caro-Kann: Panov-Botvinnik attack, Caro-Kann: Panov-Botvinnik attack, 5...e6. Panov-Botvinnik Attack against the Caro-Kann Defense - a line that can also be transposed to from many openings, including the Queen's Gambit and the Nimzo-Indian Defense. The Panov-Botvinnik Attack has a unique important place in chess lore. 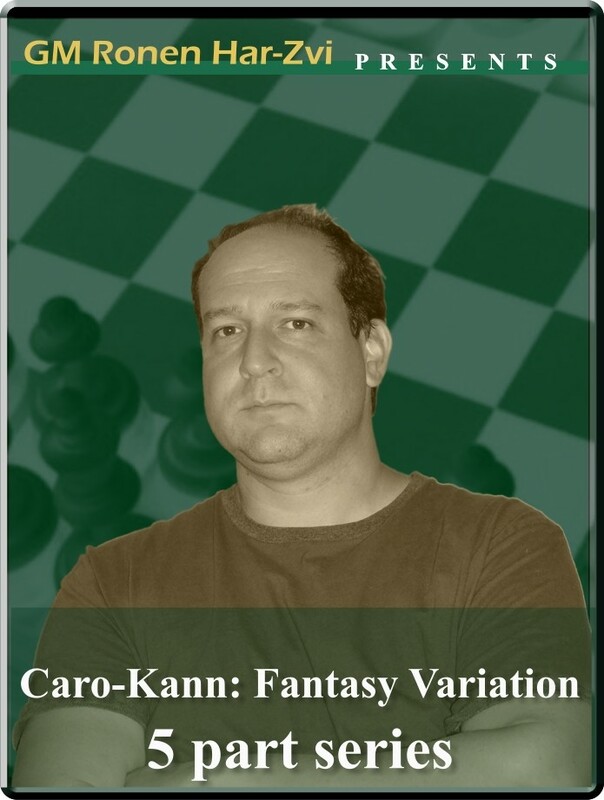 After Capablanca adopted the Caro-Kann, it assumed a status as the solid way for Black to escape attacking efforts of e4 players. But Vasily Panov, a Soviet master, theoretician and Chess correspondent for "Izvestia", took a different view of the situation and decided to test Black's mettle with the direct action of 1 e4 c6 2 d4 d5 3 exd5 cxd5 4 c4. Mikhail Botvinnik picked up on this and quickly formed it into a potent weapon that has since become the choice of determined king pawn players. New Ideas in…: Panov Botvinnik (9 part series). B13, B14: Caro-Kann: Panov-Botvinnik attack, Caro-Kann: Panov-Botvinnik attack, 5...e6. Panov-Botvinnik Attack against the Caro-Kann Defense - a line that can also be transposed to from many openings, including the Queen's Gambit and the Nimzo-Indian Defense. The Panov-Botvinnik Attack has a unique important place in chess lore. After Capablanca adopted the Caro-Kann, it assumed a status as the solid way for Black to escape attacking efforts of e4 players. But Vasily Panov, a Soviet master, theoretician and Chess correspondent for "Izvestia", took a different view of the situation and decided to test Black's mettle with the direct action of 1 e4 c6 2 d4 d5 3 exd5 cxd5 4 c4. Mikhail Botvinnik picked up on this and quickly formed it into a potent weapon that has since become the choice of determined king pawn players.